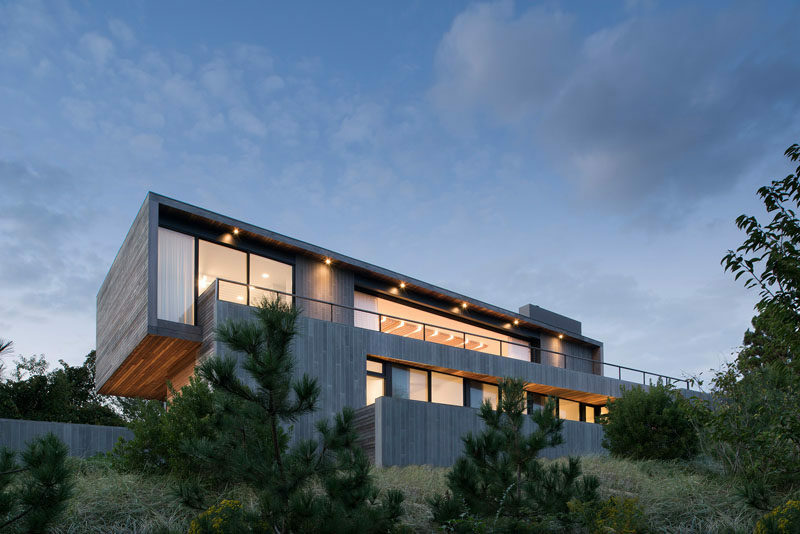 Bates Masi + Architects have designed ‘Hither Hills’, a new house located in a beach community in Montauk, New York. 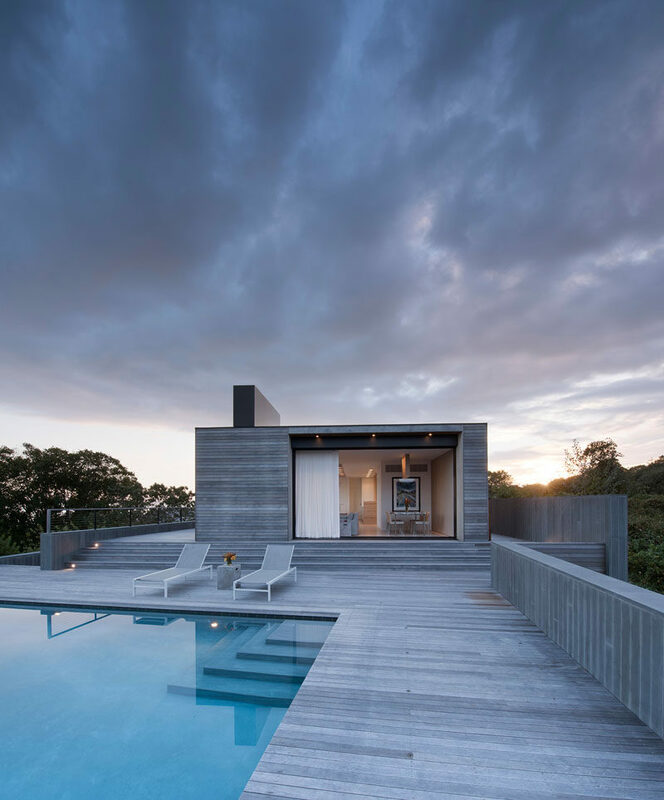 Naturally-weathered horizontal mahogany decking spans between the locally sourced bluestone walls and alternates as a covering for the roofs, walls, floors, and ceilings of the inhabited spaces. 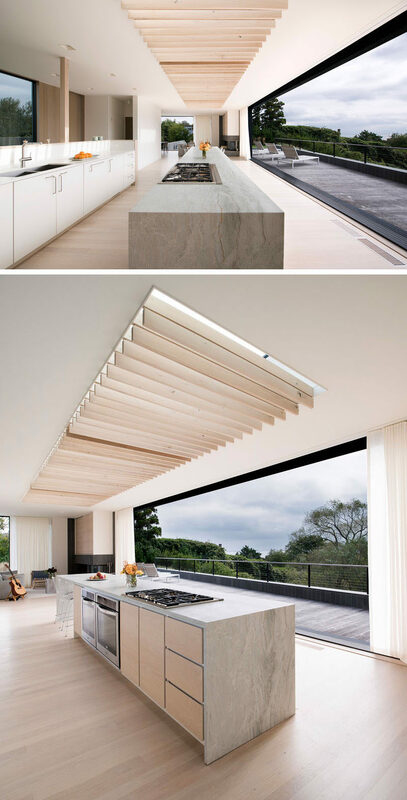 Inside, oak louvers on canvas hinges under an oversized skylight have the ability to sway in the ocean breezes, casting dynamic patterns of light and providing cooling shade, much like a tree’s canopy. 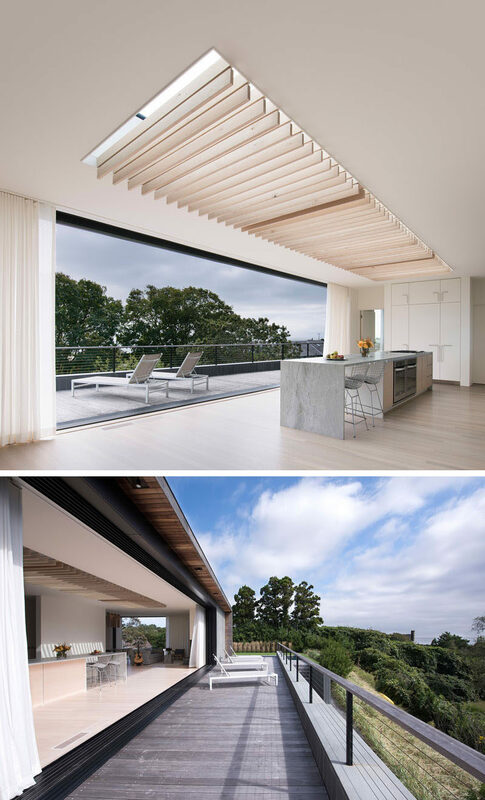 A large retracting glass wall connects the interior of the home with the outdoor spaces, enabling ocean views, breezes, and natural lighting to filter through. 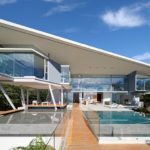 The interior spaces open to a deck, which steps down to the swimming pool and grassy lawn. 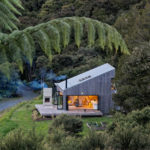 Lightweight curtains line the openings of the home and add a softer touch to the wood exterior.